For some, it might be Hawaii or a remote island. For others, it could be in the mountains or at a sporting event. But for the Rev. Keith Sundberg, his “happy place” is at the annual Association of Presbyterian Church Educators gatherings. “I can go and be myself, ask questions and don’t have to explain myself or why I’m asking those questions,” he said. “We can care for each other. It’s really quite a remarkable organization. Keith, the associate pastor at Wayside Presbyterian Church in Erie, PA, has been present at the last 18 national APCE events and will add one to that count in early February when he travels to Galveston, TX, for the 2019 gathering. 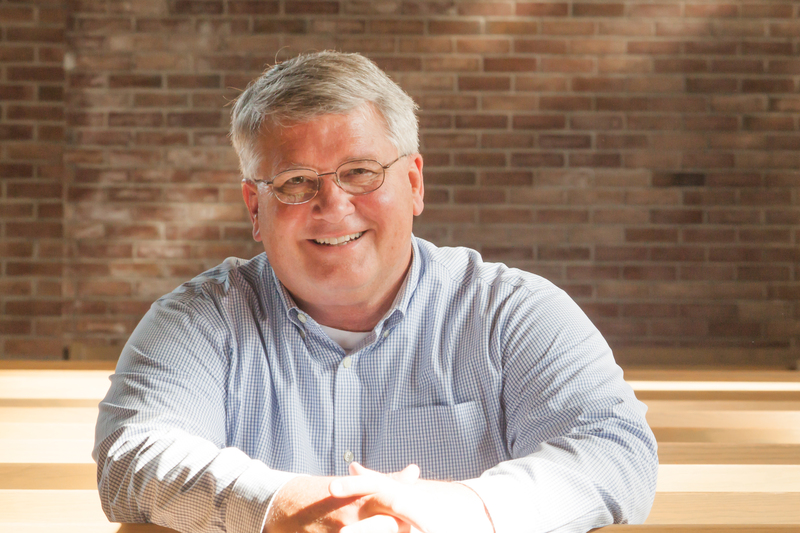 However, Keith will be more than an attendee this year as he’ll also be an award recipient when he is honored with APCE’s Educator of the Year award. Keith, who has been at Wayside for 18-plus years, is humbled by the recognition. “I have colleagues with incredible abilities,” he said. “I would not say that I am better or set apart from others. I think the organization has chosen to thank me along with three others for ministry. The award that I am receiving is one that indicates that I have spent my career helping to educate other people, taking the time to teach educators, pastors, elders, children and youth about their faith by providing workshops and retreats. Keith is the second person in as many years from this region to receive an award from APCE following Forrest Palmer’s Lifetime Achievement honor last year. Like Forrest, Keith has been an integral person in helping to keep APCE afloat following some lean years in which the organization nearly had to close its doors. A co-chair of the national event in 2015, Keith spent the year leading up to that meeting “fundraising” by applying for grants that would help keep APCE going. One of the grants was a $3,000 Network Grant from the Synod of the Trinity. Keith’s commitment to keeping APCE going was a true labor of love, and he plans to reflect on the impact the association has had on his life when he’s in Galveston. For those who are new to APCE, the annual gathering features plenaries with speakers, worship services with engaging preachers and musicians, workshops and an area to purchase curriculums and other education resources. There are also numerous regional APCE gatherings that occur annually. The East Region meets in the spring at Rhoades Grove Conference Center in Chambersburg, PA.
Wayside Presbyterian Church is Keith’s home church, so for him to be able to serve for nearly two decades the congregation where he grew up is not something he takes for granted. 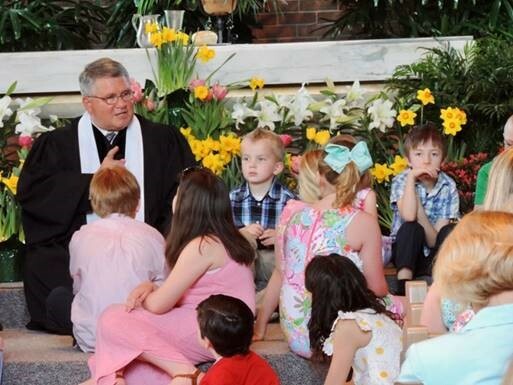 After leading congregations in Erie and Bethlehem, PA, he spent some time in the funeral business before returning to the ministry field and landing back at Wayside. At Wayside, Keith has been part of a Fall Convocation that brings in national speakers to introduce ideas to the Erie community. For instance, one year Wayside connected with a local Jewish community to plan a weekend of joint lectures and discussions that culminated with combined Sunday school and worship at Wayside. “That weekend with the combined children’s choir, people singing in Hebrew, having Amy-Jill Levine preaching was just probably the high for me and for our congregation,” he said. “We are known for children’s ministries and working with young people. We’re an academic congregation, so we bring in speakers all the time. Keith learned that he would receive the Educator of the Year award at last year’s event when he was approached by the chair of the awards committee immediately following the event and told he would be honored this year. Keith will have a similar moment one year later when he is honored with APCE’s Educator of the Year Award. It’s something he knows he’s not accepting completely on his own.